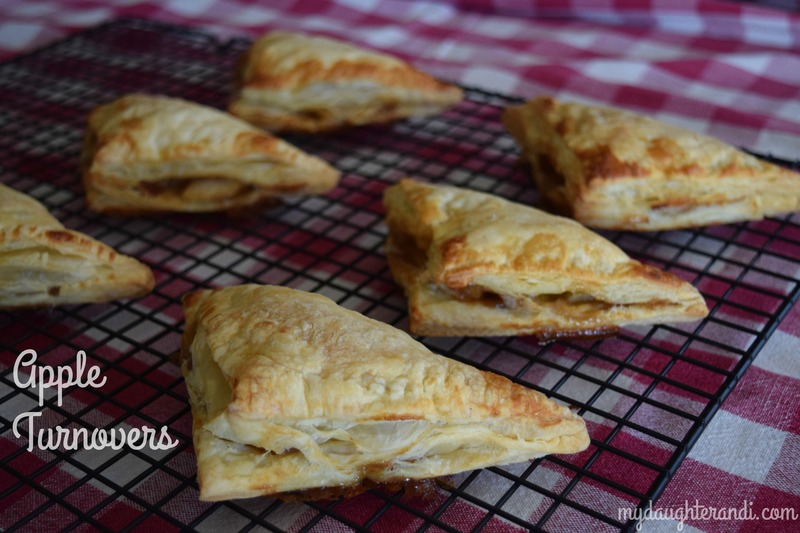 For Father’s Day, we decided to try something a little bit different for dessert- apple turnovers. Somehow we’ve never tried turnovers before, and this first attempt was delicious and so easy! My dad’s favorite dessert is apple pie, but due to limited time, and no ready-made pie crust, we couldn’t whip up a pie. 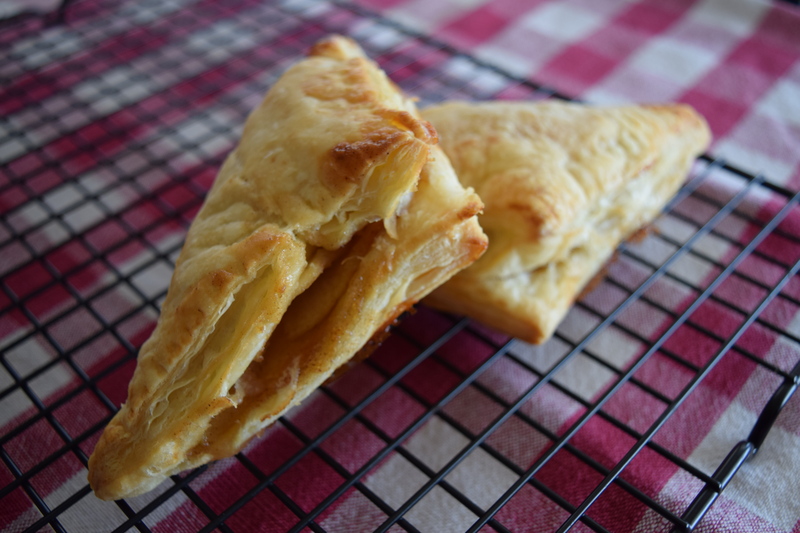 Instead, we used up some puff pastry sheets that we had in our freezer, and made these delicious turnovers. They were definitely a hit- we served them with a scoop of vanilla ice cream, and some caramel sauce drizzled over the top. It’s definitely a keeper recipe! Melt butter in a large skillet over medium heat. Place apples in pan, and cook and stir for about 2 minutes. Add brown sugar, and cinnamon, and cook, stirring, for 2 more minutes. Stir together cornstarch and 1 tablespoon water. Pour into the skillet, and mix well. Cook for another minute, or until sauce has thickened. Remove from heat to cool slightly. Unfold puff pastry sheets, and repair any cracks by pressing them back together. Trim each sheet into a square. Then cut each larger square into 4 smaller squares. Spoon apples onto the center of each squares. Fold over from corner to corner into a triangle shape, and press edges together to seal. Place turnovers on a baking sheet, leaving about 1 inch between them.